MORE THAN READY (USA) (Bay 1997-Stud 2001). 7 wins-5 at 2, Saratoga King's Bishop S., Gr.1. Leading Aust. Sire of 2YOs twice. 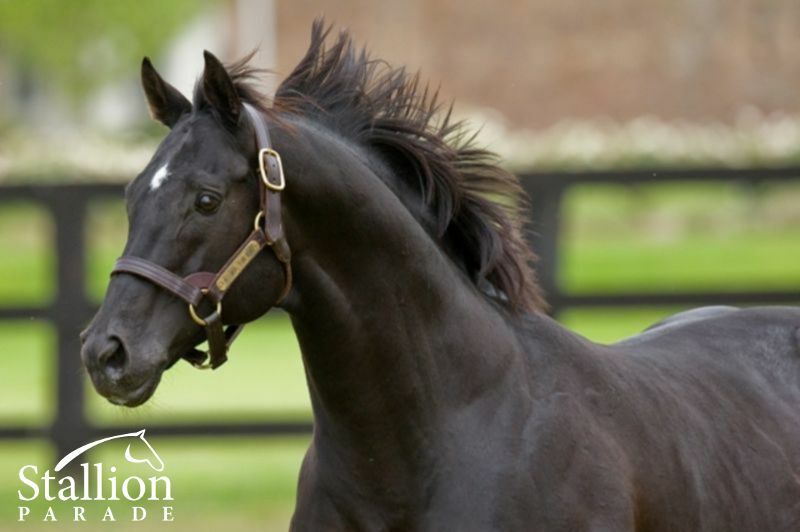 Sire of 2421 rnrs, 1777 wnrs, 192 SW, inc. More Joyous (ATC Queen Elizabeth S., Gr.1), Catholic Boy, Sebring, Prized Icon, Phelan Ready, Benicio, Roy H, Samaready, Verrazano, Entisaar, Rushing Fall, Room Service, Regally Ready, Perfect Reflection, Dreamaway, Uni, Eagle Way, More Than Sacred, Perfectly Ready, etc. PLUCK (c by More Than Ready) 3 wins. See below. THREE HEARTS (f by Hat Trick (JPN)) 3 wins-1 at 2-from 8½f to 11f, US$282,173, Del Mar Red Carpet H., Gr.3, Keeneland Allowance, 2d Santa Anita Santa Ana S., Gr.2, Monmouth Little Silver S., L, 3d Santa Anita Santa Barbara H., Gr.3, Robert J Frankel S., Gr.3, Del Mar Red Carpet H., Gr.3, Colonial Downs Virginia Oaks, Gr.3, 4th Del Mar Kathryn Crosby S., L.
Hearts 'r Pumping (c by More Than Ready) 2 wins at 1400m, 1600m in South Africa. 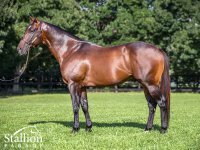 Southern Heart (c by Arch) Placed at 3 in U.S.A.
COVENANT (f Western Winter) 7 wins from 1000m to 1600m, R979,085, Kenilworth Majorca S., Gr.1, Southern Cross S., Gr.2, Sceptre S., Gr.2-twice, Sweet Chestnut S., L, 3d Scottsville South African Fillies Sprint S., Gr.1, Kenilworth Southern Cross S., Gr.2, Clairwood Tibouchina S., Gr.2, 4th Clairwood Mercury Sprint, Gr.1. Producer. MASTER OF MY FATE (c Jet Master) 6 wins from 1200m to 1800m, R705,700, Kenilworth Premier Trophy, Gr.2, Peninsula H., Gr.2, Mercedes Benz Trucks H., Clairwood Spar KZN P., Rugby 5 H. Sire. CAPTAIN SPLENDID (c Captain Al) 4 wins at 1600m, 2400m, R810,625, Greyville Lonsdale Stirrup Cup, Gr.3, Fairview East Cape Derby, Gr.3, 2d Greyville Gold Vase, Gr.3, Fairview Algoa Cup, Gr.3, Durbanville Settlers Trophy, L, 3d Kenilworth Chairman's Cup, Gr.3. 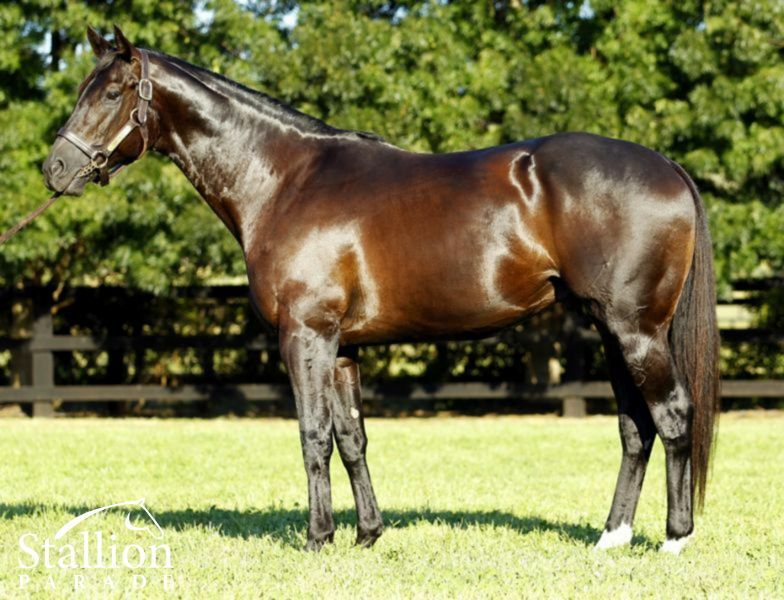 GHAALLA (f Var) 2 wins-1 at 2-at 1150m, 1600m, R398,875, to 2018-19, Turffontein Fillies Mile, Gr.3, Happy St Patrick's Day Juvenile P., 2d Turffontein South African Fillies Nursery, Gr.2, 3d Turffontein Johannesburg Spring Fillies & Mares Challenge, Gr.2, Starling S., Gr.3, Full Dividend No Limits Assessment P.
HASHTAGYOLO (f Dynasty) 3 wins at 1600m, 1750m, R284,375, in 2017-18, Greyville Flamboyant S., Gr.3, KZN Fillies Guineas Trial. SECRET HEART (f Fort Wood) 5 wins. See above. London Niece (f Northern Guest) 2 wins-1 at 2-at 1200m, 1400m, 3d Clairwood Umzimkhulu H., Gr.3. Producer. HACK GREEN (c Gimmethegreenlight) 4 wins-2 at 2-at 1100m, 1200m, R970,000, to 2017-18, Greyville Umkhomazi S., Gr.2, Scottsville South Africa Million Sprint, Greyville Kas Govender Memorial S., 2d Scottsville Racing It's a Rush P.
Race Record: 7 Starts 3-0-1 US$727,290. 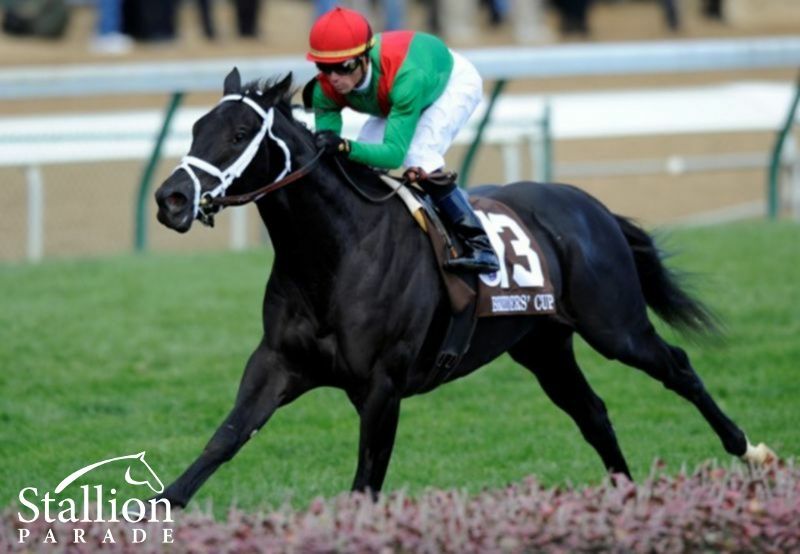 MORE THAN READY 7 wins-5 at 2-to 7f, US$1,026,229, Saratoga King's Bishop S., Gr.1, Gulfstream Park Hutcheson S., Gr.2, Saratoga Sanford S., Gr.2, Belmont Tremont S., Gr.3, Churchill Downs WHAS-11 S., L, Belmont Flash S., L, 2d Keeneland Blue Grass S., Gr.1, Belmont Vosburgh S., Gr.1, Dwyer S., Gr.2, Fair Grounds Louisiana Derby, Gr.2, 3d Belmont Futurity S., Gr.1, 4th Churchill Downs Kentucky Derby, Gr.1, Aqueduct Cigar Mile H., Gr.1, Monmouth Haskell Invitational H., Gr.1. He entered stud in USA in 2001. He entered stud in Aust. in 2001. Leading USA Sire of 2YOs in 2010. Leading Aust. 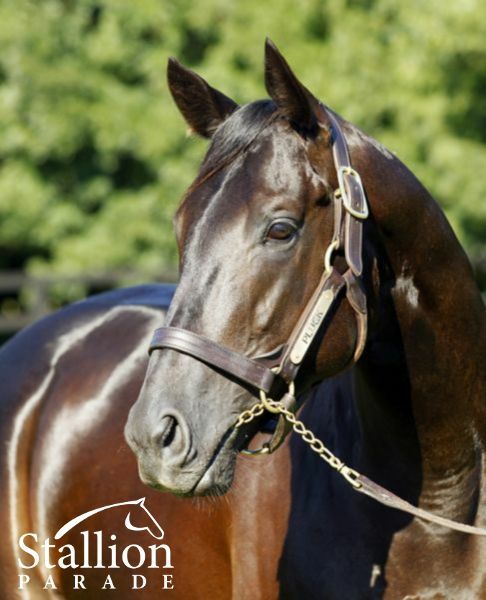 Sire of 2YOs in 2007-08, 2008-09. Second on Aust. Sire List in 2007-08. Third on Aust. Sire List (AEI) in 2007-08. 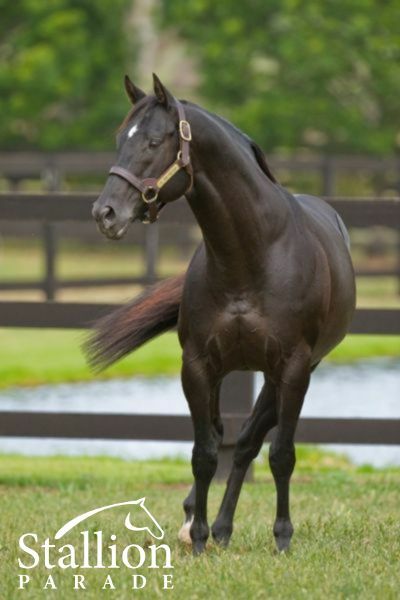 Sire of 2421 progeny to race, 1777 winners (73.0%), earnings of over $218 million, 192 stakes winners, 158 stakes placegetters, inc.
ROY H (12g, Elusive Quality, Taj Alriyadh). Head of the 2018 WTR (Sprint). Equal Leading Older Male on 2017 WTR (Sprint). Champion Male Sprinter in USA in 2017 & 2018.10 wins at 6f, 6½f to 2019, US$2,939,765, 734,000Dhs, Santa Anita Sprint Championship S., Gr.1-twice, Breeders' Cup Sprint, Gr.1-twice, Belmont True North S., Gr.2, Santa Anita Palos Verdes S., Gr.2-twice, 2d Del Mar Bing Crosby S., Gr.1-twice, 3d Meydan Dubai Golden Shaheen, Gr.1. RUSHING FALL (15f, Forestry, Mr. Prospector). 7 wins-3 at 2-from 1m to 9f to 2019, US$1,518,000, Breeders' Cup Juvenile Fillies Turf, Gr.1, Keeneland Queen Elizabeth II Challenge Cup, Gr.1, Jenny Wiley S., Gr.1, Saratoga Lake Placid S., Gr.2, Keeneland Appalachian S., Gr.2, Jessamine S., Gr.3, 2d Churchill Downs Edgewood S., Gr.3. PRIZED ICON (13c, Danehill, Bletchingly). 3 wins-2 at 2-at 1600m, 2500m, A$2,167,450, VRC Victoria Derby, Gr.1, ATC Champagne S., Gr.1, Fernhill H., L, 2d VRC Australian Guineas, Gr.1, ATC Chipping Norton S., Gr.1, Tulloch S., Gr.2, MVRC Schweppes Crystal Mile, Gr.2, ATC Schweppervescence H., Gr.3, Scone RC Inglis 3YO Guineas, RL, ATC Carrington S., L, Lonhro P., L, 3d ATC Ranvet S., Gr.1, Spring Champion S., Gr.1, Gloaming S., Gr.3, Canberra RC Black Opal S., Gr.3, ATC Breeders' P., L, TAB More Than Winning 2YO P., Spring Preview H., 4th VRC LKS Mackinnon S., Gr.1, ATC Apollo S., Gr.2, Up & Coming S., Gr.3. EAGLE WAY (12g, Lure, Seattle Dancer). 8 wins from 1600m to 2400m to 2018-19, A$517,750, HK$17,672,500, BRC Queensland Derby, Gr.1, HKJC BOCHK Jockey Club Cup, Gr.2, Queen Mother Memorial Cup, Gr.3, January Cup, Gr.3, BRC Sky Racing H., SCTC Coastline BMW H., HKJC Eishin Preston H., 2d HKJC Chairman's Trophy, Gr.2, BRC Grand Prix S., Gr.3, HKJC Happy Valley Vase H., Jinbao Street H., 3d HKJC Audemars Piguet Queen Elizabeth II Cup, Gr.1, Standard Chartered Champions & Chater Cup, Gr.1, Oriental Watch Sha Tin Trophy, Gr.2, Sa Sa Ladies' Purse, Gr.3, Centenary Vase, Gr.3, 4th HKJC Longines Hong Kong Vase, Gr.1, Standard Chartered Champions & Chater Cup, Gr.1, BRC Rough Habit P., Gr.3, HKJC Queen Mother Memorial Cup, Gr.3, Hong Kong Classic Cup, L.
UNI (14f, Dansili, Generous). 7 wins from 1500m to 1800m to 2018, €58,300, US$830,000, Del Mar Matriarch S., Gr.1, Belmont Sands Point S., Gr.2, Noble Damsel S., Gr.3, Maisons-Laffitte Prix Matchem, L, Saratoga De la Rose S., L, Aqueduct Plenty of Grace S., L, Deauville Prix d'Epreville, 2d Saratoga Lake Placid S., Gr.2, Chantilly Prix du Vivier Madame, Deauville Prix de la Placiere, 3d Belmont Oaks, Gr.1, Cagnes-sur-Mer Prix de la Californie, L, 4th Keeneland Queen Elizabeth Ii Challenge Cup, Gr.1. MORE THAN SACRED (09f, Danehill, Caerleon). 5 wins from 1600m to 2400m, NZ$368,475, A$59,100, New Zealand Oaks, Gr.1, ARC Sunline Vase, Gr.3, Waikato Gold Cup, Gr.3, Counties RC HR Fisken & Sons Ltd H., 2d Cranbourne Cup, L, ARC John Deere Agrowquip H., 3d Auckland Cup, Gr.1, Waikato RC Sir Tristram Fillies Classic, Gr.2, 4th ARC City of Auckland Cup, Gr.2, Geelong Cup, Gr.3. MORE THAN WORDS (14c, Silver Planet, Engrillado). 9 wins from 1300m to 2000m to 2018-19, Monterrico Clasico Almirante Miguel Grau Seminario, Gr.2, Clasico Pedro García Miró, Gr.3, Clasico Baldomero Aspíllaga, Gr.3, Clasico Miguel A Checa Eguiguren, Gr.3, 2d Monterrico Clasico Ciudad de Lima, Gr.2, Clasico Batalla de Tarapacá, L.
TOM'S READY (13c, Broad Brush, Deputy Minister). 5 wins-1 at 2-at 7f, 1m, US$1,036,267, Belmont Woody Stephens S., Gr.2, Bold Ruler H., Gr.3, Churchill Downs Ack Ack H., Gr.3, Presque Isle Downs Leemat S., L, 2d Fair Grounds Louisiana Derby, Gr.2, Lecomte S., Gr.3, Churchill Downs Street Sense S., L, 3d Saratoga Forego S., Gr.1, Belmont Kelso H., Gr.2, Churchill Downs S., Gr.2. COPPER BULLET (15c, Unbridled's Song, Peintre Celebre). 3 wins-2 at 2-to 7f to 2018, US$335,345, Saratoga Special S., Gr.2, Churchill Downs Allowance, 2d Churchill Downs Bashford Manor S., Gr.3, Oaklawn Park Razorback H., Gr.3. BOYNTON (14g, Distorted Humor, Ocean Crest). 3 wins-2 at 2-from 1200m to 1600m to 2017-18, Newmarket Superlative S., Gr.2, Meydan Mina Rashid H., 3d Goodwood Vintage S., Gr.2, Newmarket James Seymour S., L.
OLONANA (05f, Myocard, Marscay). 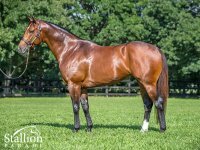 3 wins-1 at 2-at 1000m, 1100m, A$181,800, AJC Challenge S., Gr.2, MRC Biscay H., STC Tacking Point Tavern 2YO H., 4th VRC Red Roses S., L.
His sire sons include Sebring (53), Gimmethegreenlight (16), Perfectly Ready (7), Ready's Image (7), Custom for Carlos (6), Pluck, Verrazano, Benicio, Better Than Ready, Ready As, etc. The explosive Breeders’ Cup Juvenile winner and More Than Ready look-a-like Pluck has made an immediate impact with his first crop selling to $100k. 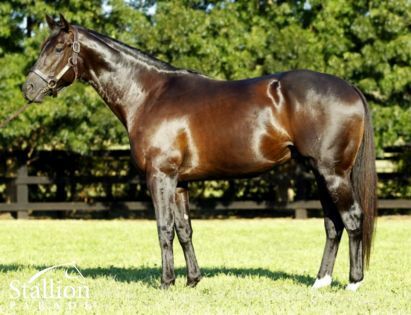 Following in his sire’s footsteps, Pluck averaged almost 6 times service fee ($61k for his first yearling offering) at Magic Millions, a sale which saw More Than Ready average $61,500 with his first yearlings prior to being crowned Champion First Season sire. A likely source of 2yo speed, Pluck has a large crop of rising 2yo thanks to a full book of 150 in his first season. Book in early. “And Pluck looking like he just joined in at the quarter pole and Pluck from last to first winning it in a canter.” The race call of the Breeders’ Cup Turf Juvenile.